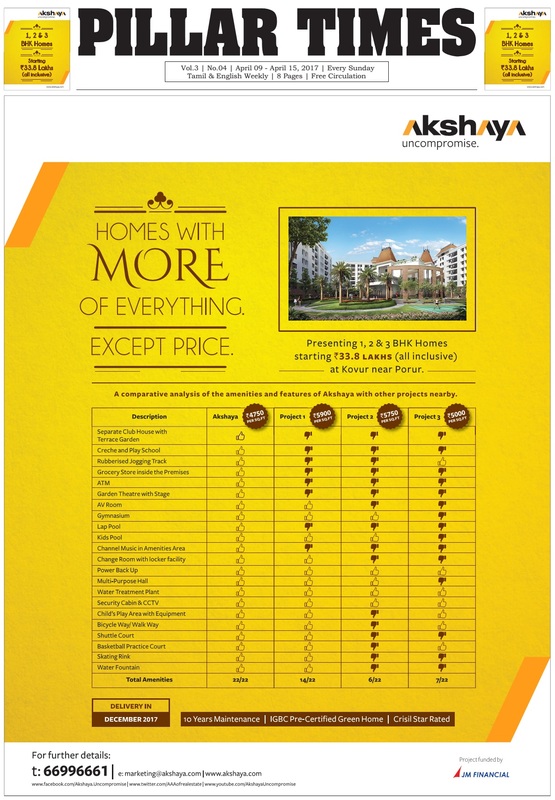 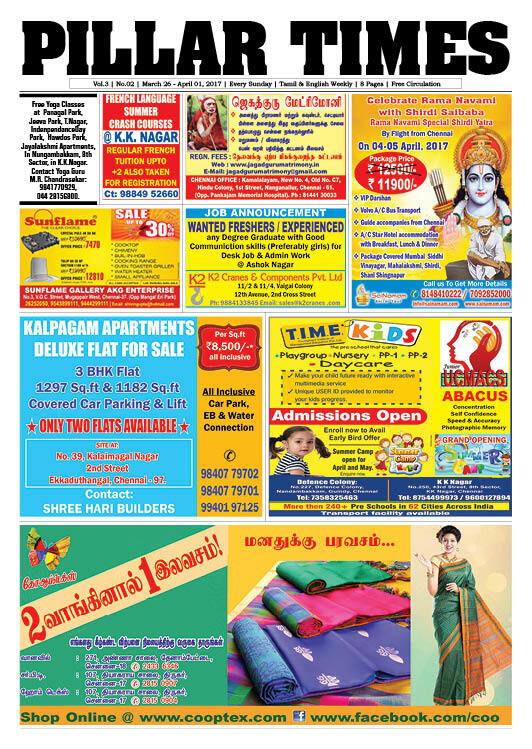 For Advanced Advt Booking for Ashoknagar, K.K.Nagar Edition pls contact us at 8428182676 or E-mail us to timeslocalnewspaper[@]gmail[.]com. 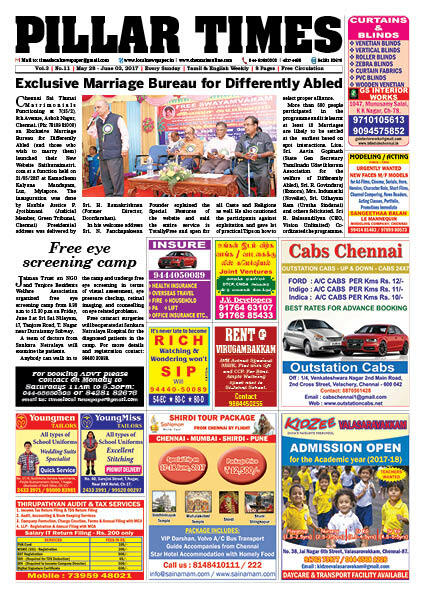 Read Pillar Times e-Paper Online – Click the Image To read / DOWNLOAD the e-paper – PLEASE WAIT TILL THE E-PAPER GET DOWNLOAD AND VISIBLE – You can scroll the pages and Zoom in Zoom out. 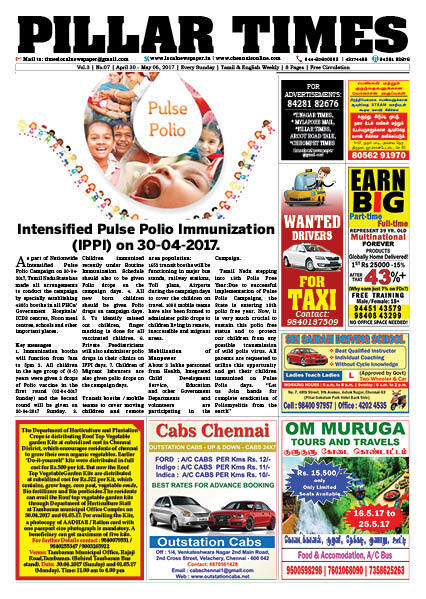 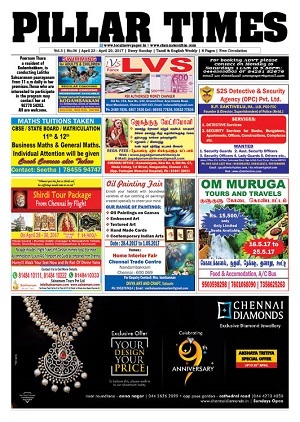 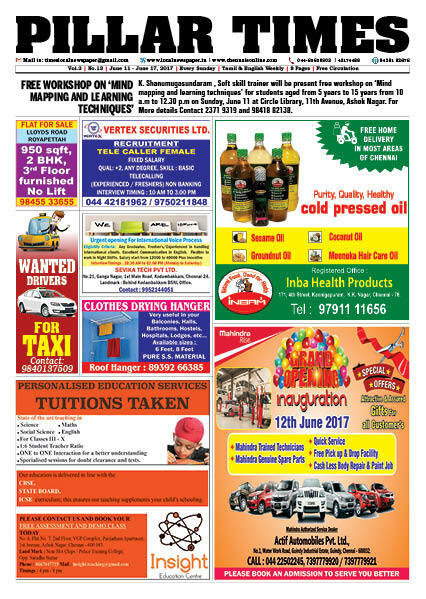 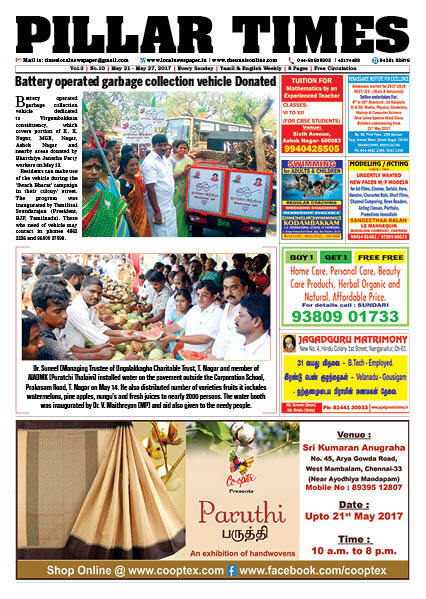 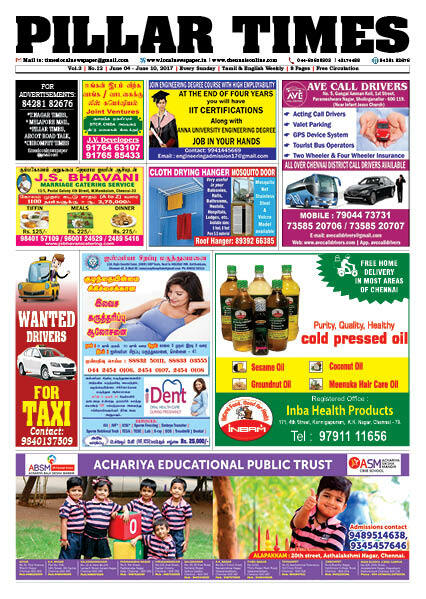 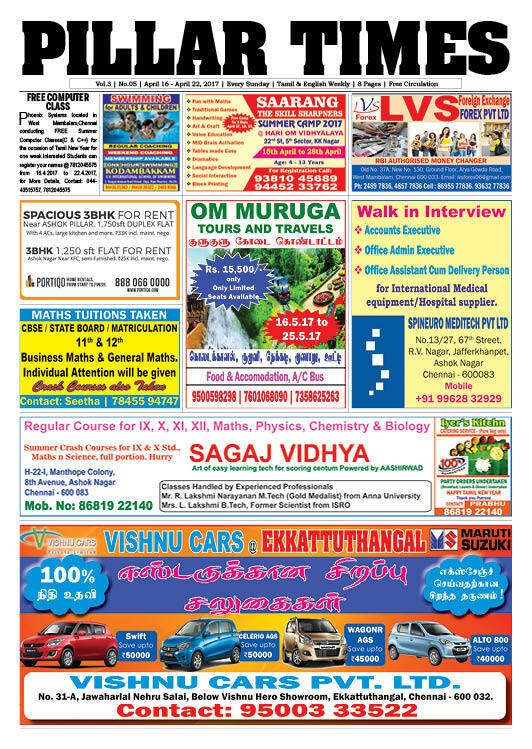 For ADVT Contact: 8428182676 OUR weekly Newspapers published & Circulated every Sundays and available to read in Online.